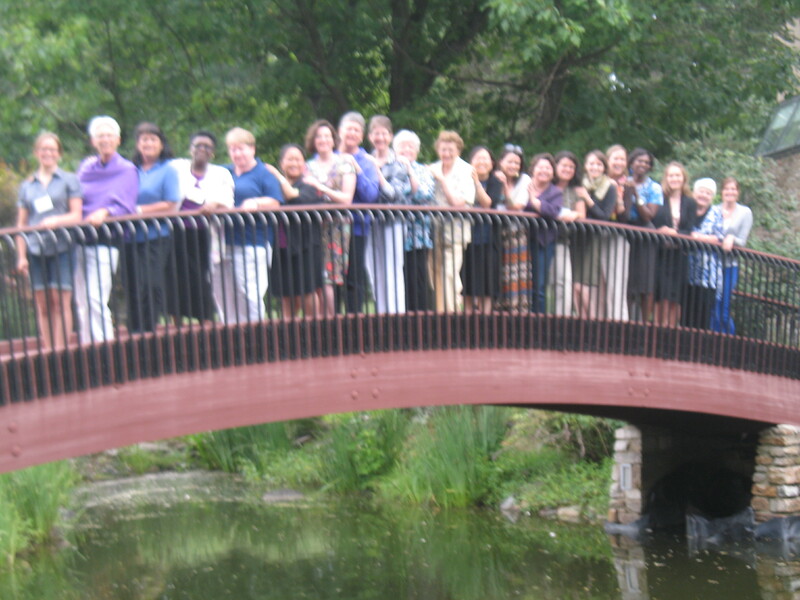 Call To Action (CTA) and the Women’s Alliance for Theology, Ethics and Ritual (WATER) co-convened a group of Catholic feminist thought leaders at the Retreat and Conference Center at Bon Secours in Maryland from July 8-11, 2012. With theologians, media professionals, ministers, and activists at the table, the convening created the environment for a broad analysis of the current Catholic feminist movement and the creative cultivation of ideas for the movement’s future. The gathering took place just weeks after the U.S. Catholic Bishops raised the specter of attacks against women’s healthcare under the banner of “religious liberty” and publicly raised concerns about the Girl Scouts. The Vatican had also recently reviled the Leadership Conference of Women Religious (LCWR) and condemned the academic work of a well-known Catholic feminist theologian. The tenor of the gathering registered the gravity of immanent threats against women’s well-being but also the immense strength of the Catholic feminist movement at this time. Just weeks before the convening, a delegation of progressive Catholic organizations delivered a petition with 57,000 signatures to the Bishops and coordinated over fifty nationwide vigils in support of women religious that included heavy media coverage of the events. 3) Feminist social justice and political action. • A reaffirmed attention to youth and young adults to ensure that each successive generation is able to access feminism in the context of faith and in light of the needs of the day. The participants surfaced a number of actionable items on which they planned to work. These ranged from collaborating on Catholic feminist messaging guidelines, to creating an online platform to gather the academic/intellectual, liturgical/spiritual, and social/church justice resources in an accessible place, to exploring new forms of collaboration on theological and activist pursuits. Some of the shared ideas have already begun to be outlined and implemented including initiating international connections, publishing some of the outcomes of the gathering, and starting to build out a web-based platform for Catholic feminist resources so they can be more effectively accessed and shared. The next phase of this project is to continue bringing to fruition the various projects that have emerged. This work has begun with enthusiasm and needs additional resources. CTA and WATER are committed to continuing the conversations and supporting the relationships forged during this historical gathering at such a critical time. Click here to download the Executive Summary of Report on the Catholic Feminist Movement Building Conference.